Mr. Vegas is the luckiest man in town. No one takes as many chances as he does, nobody wins as much either. Women surround him and everybody wants to meet him and catch some of his luck. This is your chance, you are invited to become part of his inner circle, why not? give yourself some luck. 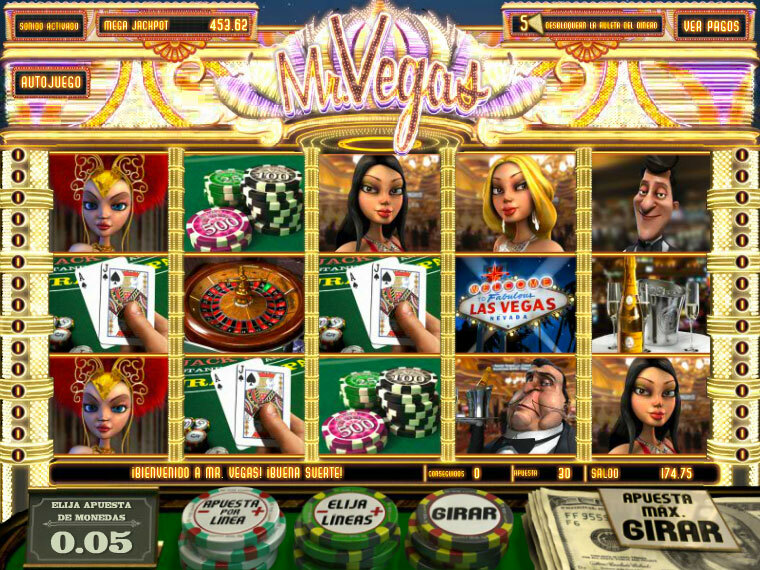 Get the dices symbol on either side of Mister Vegas on pay lines 1, 2 or 3 to receive free spins. The value of the throw will be equal to the number of compensated spins. If the dices come out with the same number, you can multiply all the winnings during the free spins. Get 3 or more symbols from the lucky wheel on any active pay line to unblock the free spins on the mini-holes. Receive 5 lucky wheel symbols on the main game on any given position to activate the lucky reel. Spin the wheel to win incredible prizes, free spins, bonus rounds, free coins, and even a progressive jackpot. Get 3 or more symbols of Mr. Vegas on any position on the reels 1, 3 and 5 to activate the bonus roulette. 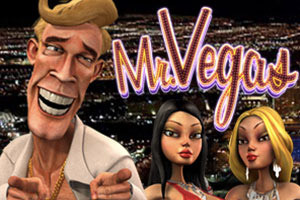 Play roulette with Mr. Vegas and his beautiful lady friends and win big.